KARACHI: The equity market will move next week around news flows from mini-budget to be presented on January 23, 2019. The government is set to present another mini-budget for fiscal year 2018/2019 next week. Pakistan Stock Exchange (PSX) expects the trajectory to imitate news flow. Moreover, Prime Minister Khan continues traveling to friendly countries (Qatar) as well as receive dignitaries to fortify relations with allies and build the foreign exchange position; any positive outcome of upcoming meetings will also boost market activity, analysts at Arif Habib Limited said. The KSE-100 index displayed a positive trend this week, closing in green on 3 out of the 5 trading sessions and ending at 39,306 (+0.66 percent WoW). 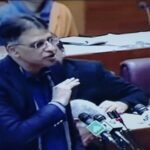 News flow regarding the upcoming mini-budget aided sentiments at the domestic equity bourse with suggestions by stock brokers being particularly encouraging; abolishment of 0.02 percent advance tax, exemption of tax on dividends for stocks held over 3 years and losses to be carried forward for up to 3 years. Positive contribution to the index was led by i) Fertilizer (135 points) with the GIDC issue expected to be resolved, ii) Oil & Gas Exploration Companies (55 points) amid potential hydrocarbon discovery at the offshore location by Exxon, ENI, OGDC and PPL, iii) Tobacco (25 points), iv) Power Generation and Distribution (23 points), and v) Technology and Communication (20 points). On the flip side, sectors under pressure remained i) Cement (17 points) given anticipation of higher FED to be imposed under the upcoming budget, ii) Automobile Parts and Accessories (15 points), and iii) Refinery (8 points). Scrip wise top contributors were PPL (74 points), FFC (65 points), ENGRO (40 points), OGDC (38 points) and PAKT (25 points). Foreign selling continued this week clocking-in at USD 9.4mn compared to a net buy of USD 0.6mn last week. Selling was witnessed in all other sectors (USD 3.2mn) and Exploration & Production (USD 2.8mn). On the domestic front, major buying was reported by Individuals (USD 7.3mn) and Mutual Funds (USD 3.72mn). Volumes during the week settled at 118mn shares (down by 15 percent WoW) whereas value traded arrived at USD 40mn (down by 14 percent WoW).